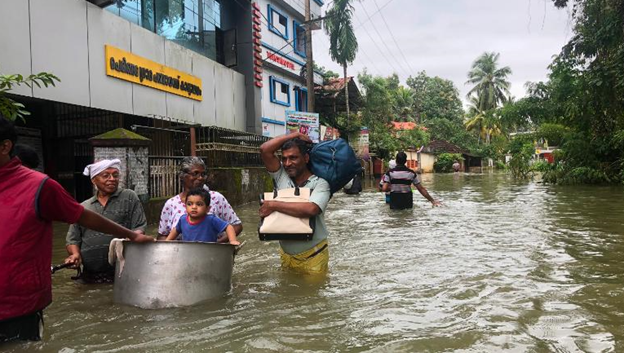 Heavenly Father, we are so grateful for the rescue teams who have committed to helping victims of the massive flooding in Kerala, India. In the past two weeks, there have already been over 300 fatalities and thousands of homes and buildings have been destroyed. We ask that you sustain these workers as they persist in reaching those who are stranded and in need of food and water. We pray that supplies will continue to arrive to accommodate for everyone’s needs. Lord, we thank you for the sacrifice that these workers have made to leave the comfort of home and their families behind. We can only imagine the severity of the conditions in which they are working. We see the humility of Christ in them and we pray that you bless them. In Jesus’ name, amen. I wanted to thank you for this great read!! I definitely enjoying every little bit of it. I am sharing https://www.nexter.org this blog here for you to read more news ! !